If you have skype installed you can select the link below to call Dawn Walton M.Sc. Psych, DipCHyp, MNLP, CNCH (Acc), MBPsS. I see clients face to face in my custom built and designed therapy room on the outskirts of Dundee. I have all the facilities to make sure that coming to see me is as comfortable as it can be. After all, for most of us, going to see a therapist is a big decision and can be scary. I understand. I thought I would just get this one out of the way right at the start! No is the answer. Even if I could (which I can't) I am not interested in making you do something you don't want to. What possible therapeutic value would there be in that? Of course if you want me to make you cluck like a chicken, then we can ask "what's that about?" and work on it together! When we work together, we are not going to delete any of your memories. For those memories that your subconscious is using to protect you, in such a way as you are doing things now that you no longer want to do, we will just work together to reframe them. When this works, the memory remains but the emotion will be gone. When this is a negative emotion you will probably be surprised at how soon you begin to notice the changes after our session. When you have a memory with a positive emotion we will work together to establish a way for you to bring that great feeling back any time you need it. Way better than any drug and no side effects! It's ok. I'm not going to hypnotise you. You will be fully aware of what is going on. I will, however, be talking to your subconscious. You might find you are more relaxed than you would usually be when I do this but it will feel more like daydreaming than being hypnotised. As I said above, that's ok. I don't need to hypnotise you for this to work. I just need to talk to you. And you know, if you've made that first step of coming to see me, then I think we'll manage just fine. Because I want everyone to know that change is possible I use the internet to get the benefits of Cognitive Hypnotherapy to as wide an audience as possible. 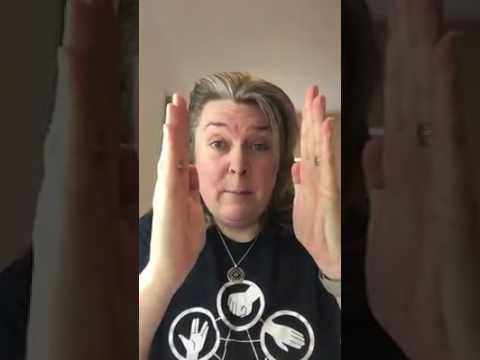 Using Skype and Facetime for 1-1 conversations, YouTube video clips and a whole range of downloads for problems such as anxiety, colds and exam nerves, I am on a mission to remove the geographical boundaries of therapy and make it available to everyone. DipCHyp: Diploma of Cognitive Hypnotherapy. NLP ( MPrac): Master Practitioner of Neuro-Linguistic Programming. An Mp3 download will provided within 24 hours of the session that reinforces what is covered during the session. This is included in the price. You also get lifetime support from me on email after our first session plus access to a special group on Facebook. I have a special offer where, if you pay upfront at your first session, you get 3 sessions for the price of 2. I am based on the outskirts of Dundee past Camperdown Park. I will send directions once we confirm our first appointment. I rent an office in a central location in Aberdeen at Waterloo Quay properties, Provender House, 37 Waterloo Quay AB11 5BS. This office has free parking on site (just let me know that you need a space when you book your session). In under half an hour Dawn, you helped me to break free of drug addictions that had been affecting my life for over 30 years. And it didn`t hurt a bit! The hardest thing was getting the courage to contact you – the rest was surprisingly easy. Since my sessions with you I no longer drink to get drunk – in fact I haven`t been even close to drunk for some time now. When I think of using the substances I was addicted to I have no craving for them at all – nothing - couldn`t care less…don`t want them. The constant cycle of anxiety/depression I had lived with most of my life has gone. And to be honest things keep getting better by the day. You helped my understand that my issues were in my head. 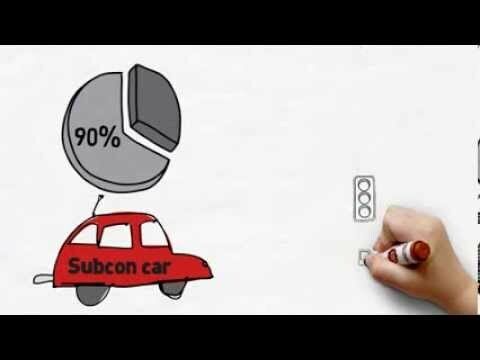 With a simple visualisation you helped me change the unconscious decisions I was making that were causing my problems. After many years of various therapies, interventions and just shear willpower the struggle is now over. You have helped me change my life - for the better -forever. "I have always been a yo-yo dieter, but I know this is seriously unhealthy and I want a 'normal' relationship with food. In my first session with Dawn I felt at ease straight away and we soon got to the root of my problems and worked on changing my thoughts about food and my lifestyle. By the time we met for a follow up session I was no longer obsessed with food. I am eating smaller portions and I am much more active. All my clothes are looser and I am noticing positive changes all the time. Dawn is friendly and professional and has helped me greatly in a short space of time. Thank you, Dawn." "I had no idea what to expect in my very first session with Dawn - but her warm personality soon put me at total ease. My food issues have been totally turned around after only 2 sessions! 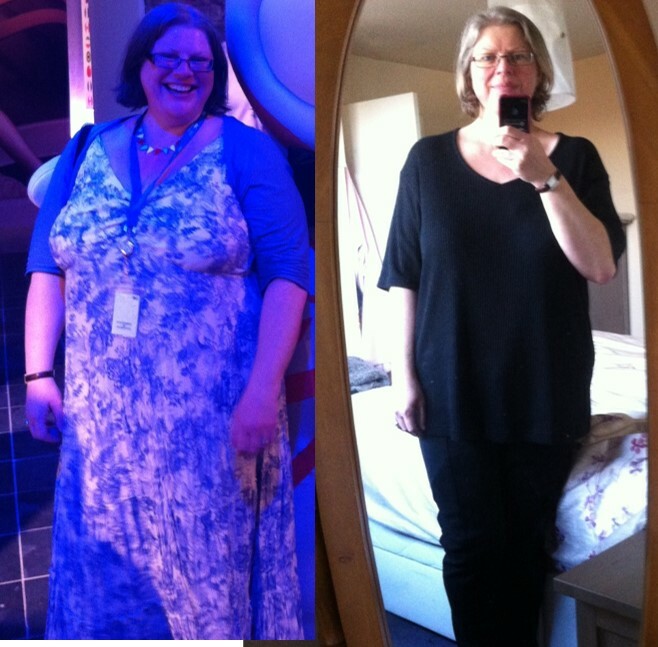 After 32 years of overeating, I can now say with certainty that it is all in my past. I am facing a better, healthier and less food-obsessed future. I cannot thank Dawn enough." "Dawn is a truly amazing therapist. She has a unique ability to identify the issues you are dealing with and find ways to help you past them. Even working with her from my location in America, via Skype, she was quickly able to determine what I was struggling with and give me ways to get past the issues. She has a unique blend of depth of human experience, excellent education, and innate talent that contributes to her being able to really help her clients. 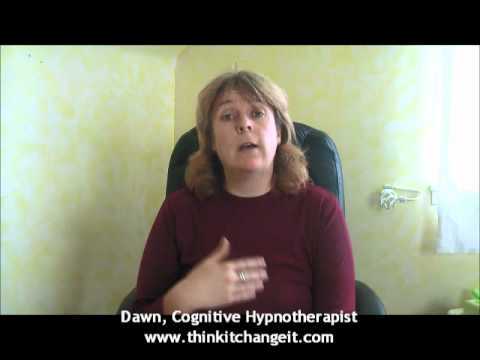 I had been to several therapists and two different Hypnotherapist before seeing Dawn. None of them could really help me with my weight loss issues. Dawn was able to identify my issues in an enlightening way that no other therapist has previously been able to do for me. I am shocked and pleasantly surprised by the immediate effect her methods have had on my overall well being as well as my weight issue. She is truly an amazing therapist and person. I have recommended her to several of my friends who have all also had excellent experiences with Dawn. I feel completely confident recommending her to anyone seeking a positive change in their life. I know she will help you." "I recently had an accident, and suffered quite bad whiplash in my back and neck. I spent 3 weeks surviving on painkillers, struggling with simple household tasks and unable to pick my children up for a cuddle. Then I downloaded Dawn's Pain Pill. I soooo wish I had done so earlier, but I honestly thought "how the hell can a 'recording help with THIS pain?" Quite a lot actually- the first listen reduced the pain a little bit, the second reduced it a lot, and after I listened the third time I stopped taking my (prescription) painkillers. It's now been 2 weeks, and I've still not taken any. It is AMAZING, and I am happily recommending it - and Dawn - to anyone who will listen." "I listened to it for the first time and I have to say the experience was bizarre. The pain however was lifted. At this point I had stopped my pain meds so I was expecting an increase in pain. When the pain was getting worse I would listen to it again and the pain would lift. As time went on the strangest thing happened, I could no longer visualise the "pain". This freaked me out, so I contacted Dawn just to make sure. She reassured me that this was a good thing, not being able to "see" the pain was what was stopping me from experiencing the pain. It has now been about 6 weeks since I have came off my medication. I have to say that I am glad I have done this. 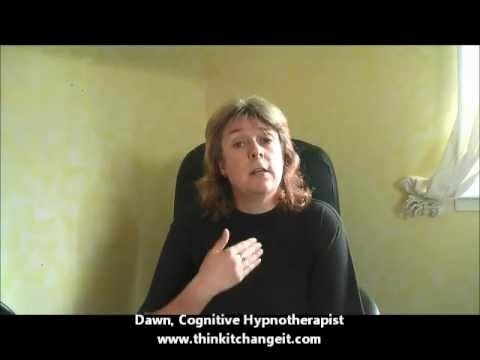 Cognitive Hypnotherapy would never have been something that I would have chosen so I have to be thankful to Dawn for offering me her help. For anyone reading this I don't think I could recommend this highly enough." "One thing I have found is the after tones of Dawn's voice lingering in my head during these tracks. I had one of the best nights sleep I've had in ages." For as long as I can remember I've had a fear of ghosts and of the dark. When I started a new job which required me to work lone night shifts I thought I'd try it out and see how I got on.Well.... I trembled with fear the whole night, for me the hours between 10pm and 6am were the worst hours where I thought bad things could happen! I was in tears and longed for the shift to be over. I went online to find someone who may be able to help me over come these fears. 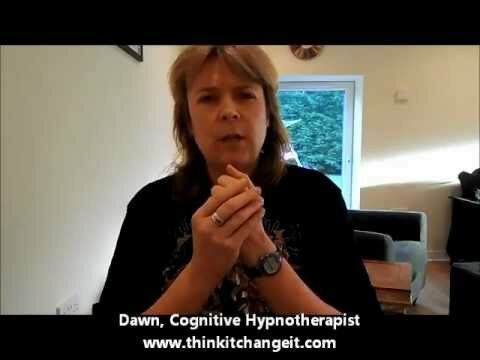 I met with Dawn just days after our first contact and spent 25-30 minutes in my hypnotherapy session. On leaving I was sceptical about if it would work or not. Around 2 weeks later I worked night shift again and to my surprise I was free of any fears! Before meeting with Dawn I was unable to walk round the building I work in and was confined to the office between 10pm and 6am, whereas after my hypnotherapy session I found myself walking round the building and going in to rooms without putting the light on just for fun! I really would recommend Dawn to others. Thank you Dawn! Needless to say, pregnancy with a phobia of needles isn't easy either. I somehow dealt with the anxiety to have my first set of bloods done each time but I was never able to have my 20-week tests done in either pregnancy. But then there was the probability of a c-section and a great big epidural needle. Not to mention pre-op bloods etc etc. Holy cow. I panicked for weeks. I had no idea how I was going to get myself out of this one. Then, a pregnant friend on twitter mentioned that Dawn had helped her deal with labour pain and other issues through Hypnotherapy. I had never tweeted Dawn before but I did that day and we got chatting. Then we scheduled a Skype appointment to try and help me deal with my needle phobia. Dawn was sure she could help me. Now I'm a huge believer in the power of the mind. I wasn't going into this a cynic. But my needle phobia was a huge thing, and a part of me wasn't sure I'd get very far. But I figured that if it made even a slight dent in the phobia, it would be worth it. So we got chatting. Dawn is very easy to talk to, she's friendly and helpful and I'd say it's impossible not to relax in her presence (even if virtual). She ran me through a few mental exercises and explained the power of my sub-conscious and the way it was causing and controlling the phobia, and half an hour later we said our goodbyes and we ended the call. I wondered whether it had made any difference and I also wondered how and whether I'd have an opportunity to test it out before the c-section. A few days later, I was watching One Born Every Minute and being the birthing show it is, someone was being given an epidural. As per usual, my hand flew up to cover my eyes - I can never normally watch anything like that. But I was distracted and too slow to react, and I realised (with my eyes covered) that I'd actually seen the needle that time. And yet I was fine. I realised that I could outstretch my arms. And I could talk about the issue with friends and not have to calm a racing heart afterwards. Or be flushed as I spoke. Friends couldn't help but notice the difference too.